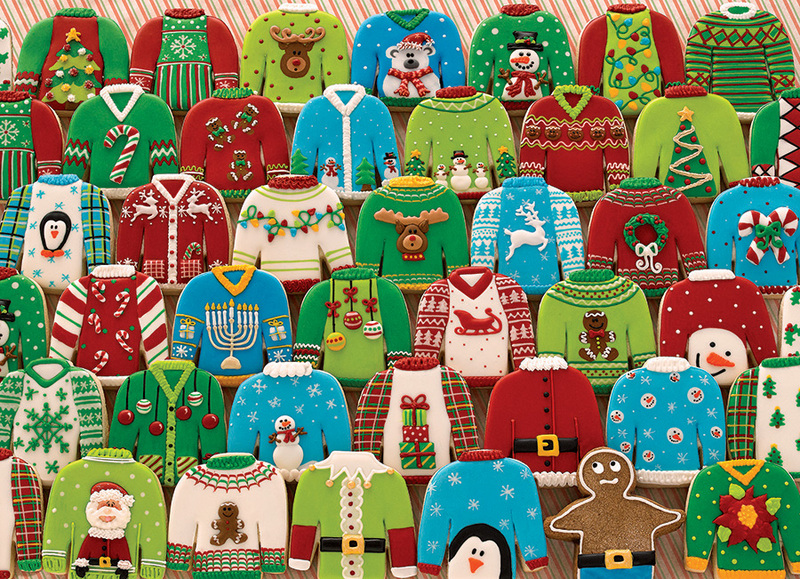 There are ugly Christmas sweaters and then there are edible Ugly Xmas Sweaters sweetly arranged in a 1000 piece puzzle! Which outfit should Mr. Gingerbread Man wear on this lovely Christmas day? Item # 80143 Weight 1.61 lbs.